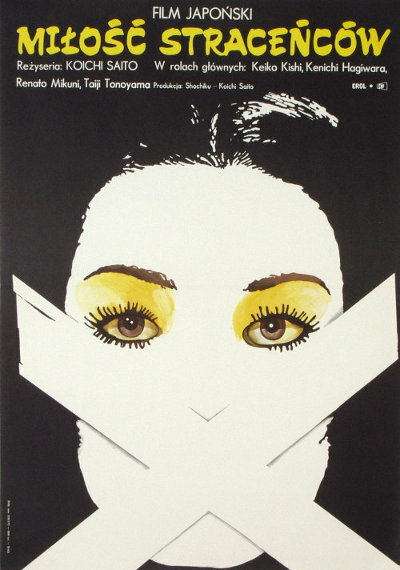 The exhibition presents a selection of Asian movies posters created by Polish artists. The posters, made by such artists as J. Erol, M. Wasilewski, H. Bodnar and others, were created for both the films directed by renowned Chinese directors such as Xie Jin or Chen Kaige and perhaps not as familiar to Polish audience works by directors from Japan, Korea and Syria. The collection presents the posters designed not only for the films of various origins, but also for different genres, starting from the Japanese drama set in the Edo period as in ‘Gonza the Spearman’ through the work portraying the transformation of the People’s Republic of China's political system in ‘The Legend of Tianyun Mountain’ and ending up with the family film about the adventures of Thumbelina. The Far East myths have nourished various artists' imagination for centuries. Therefore, the exhibition presents also the viewpoints held by the poster artists, who lived in a specific political and cultural context, and the discourse about the European visions of Asian countries.